I have been debating about this for months, what products do i take? something new or something that I am used to? 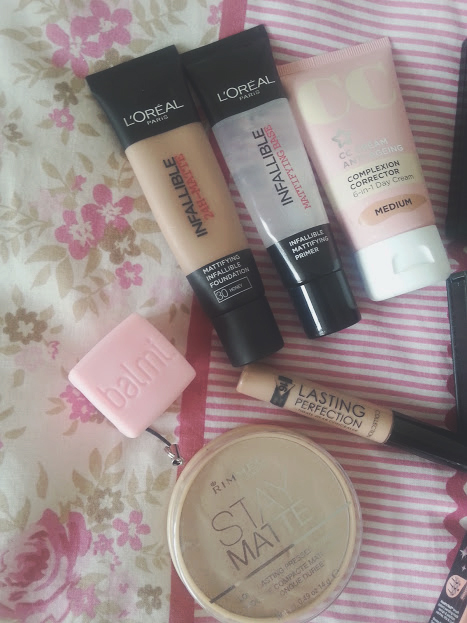 In the end I have settled for the infallible duo because they are two products that I can trust and know that they will stay on me for the long days when we are out and in the evening as well. Also, taking along with me the CC Cream you will be seeing a first impressions in a few weeks, but this will be my second time using it and hoping for the best. Concealer and powder are the same as always because I can trust them and then a lip balm to keep my lips hydrated. My aim is to take products with me that are mutli purpose, and all of the palettes that you can see above do exactly that. They will be making my life easier and hassle free as it gives me more option without having to take separate things along. 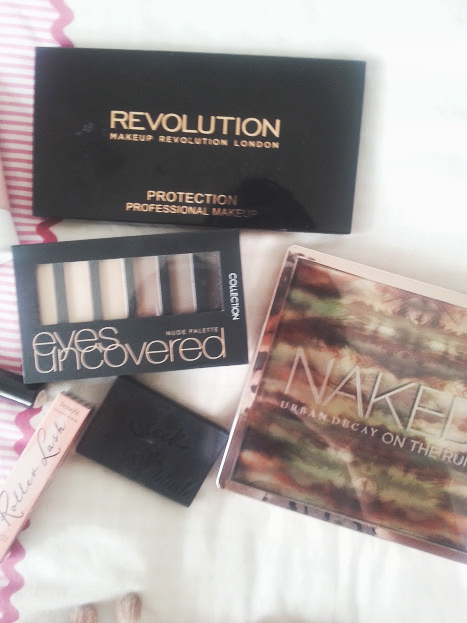 See more about the palettes I am taking here, There is a mascara in the On The Run palette but I am also taking along Roller Lash because its the perfect evening out mascara and looks amazing on my lashes, as does the rose gold blush for the evening time and it gives me another option if I get bored of the things in the palette. The toughest part of them all, having to whittle down my lip product selection to only a few because I don't want to be taking everything with me is very hard. My aim is to take these four only as they provide me with different looks, but knowing me on Thursday right before I fly I will end up putting more in or even buy some at duty free oops. Taking a red lip with me is essential, mainly for the evening and the Maybelline one doesn't budge and is easy to put on in a rush. 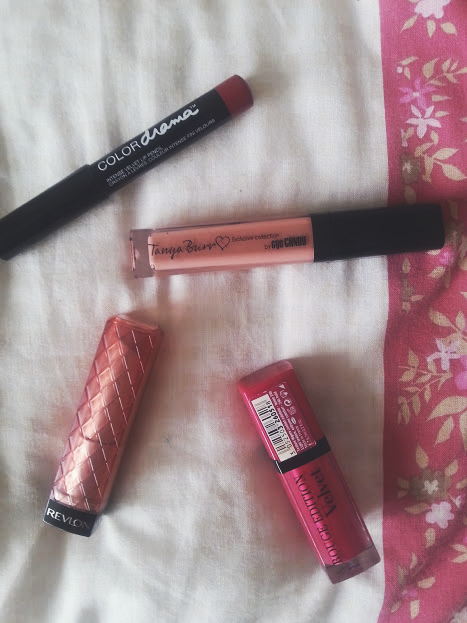 Then we have a lip gloss and a neutral lip for everyday, both are quick to apply and smell good too. And finally a bright pink colour, perfect for morning and night and the formula of these are amazing, thinking I might just have to take another one because they are just that good! 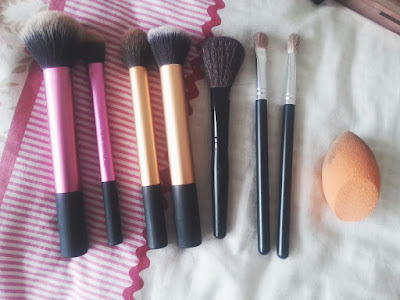 As well as these I am taking a random blush brush I found one day, my EBAY MAC shadow brushes and the RT Miracle Complexion Sponge which is just AMAZING! This is what I am taking in my suitcase, pretty simple and basic but everything that I trust and know will make life easier. 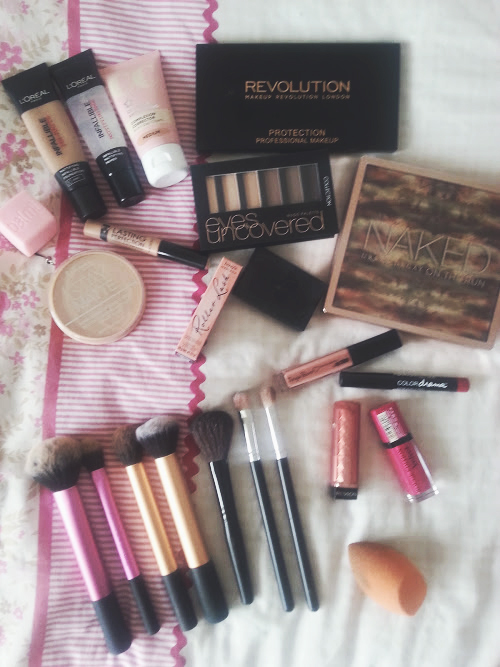 The things coming with me in my hand luggage are a bit different, but there is a whole post coming on that soon!